Spokesmama: Bike the Blossoms this Weekend! 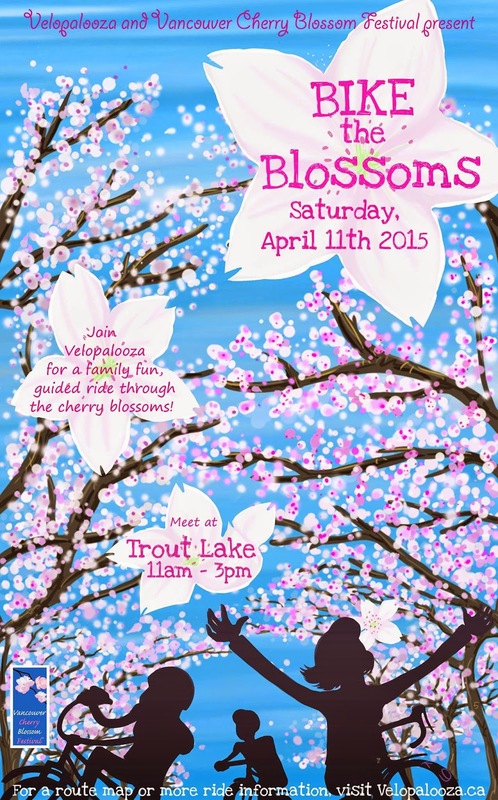 Bike the Blossoms this Weekend! There's nothing better than moseying along at a leisurely pace under the cherry trees heavy with their delicate pink flowers. I can't believe how long I've known about it but never actually participated in Bike the Blossoms. 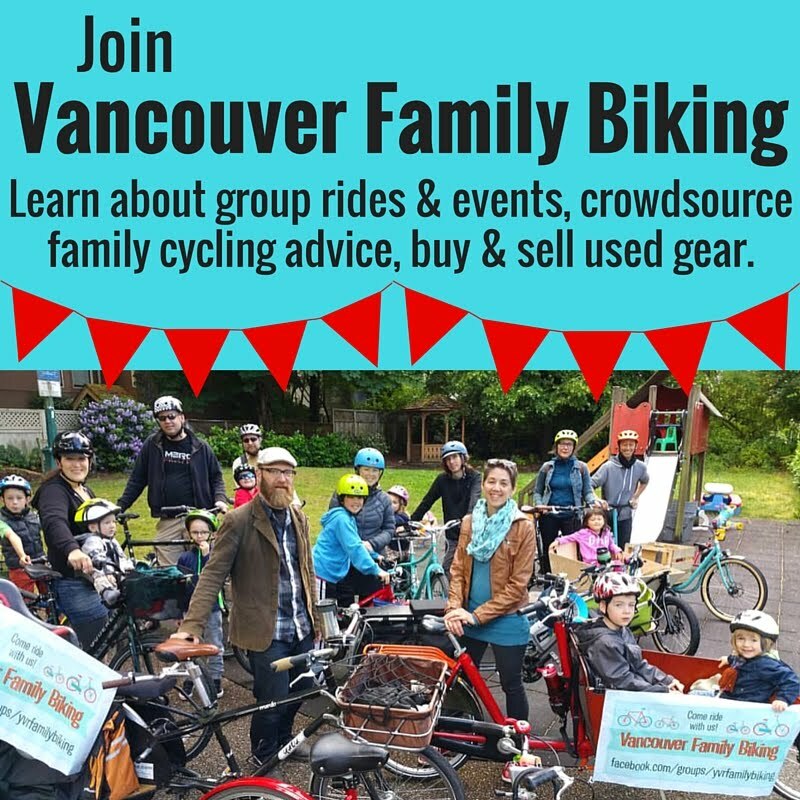 This year I plan to remedy that--this Saturday, we're meeting all the other cycling cherry tree lovers of Vancouver to Bike the Blossoms. Bike the Blossoms is a guided tour of some of Vancouver's best cherry blossom trees in full bloom. It will zigzag northwest through the city from Trout Lake to Jonathan Rogers Park & then heading south to Riley Park. Velopalooza is organizing this annual ride, which will be the eighth since 2008. If you want more details about the route, here's the map for 2015's Bike the Blossoms. You can RSVP on the Bike the Blossoms Facebook Event page.